At the time he was working as director of a ski resort in Tahoe, but the sparkling waters of the Caribbean were impossible to resist. 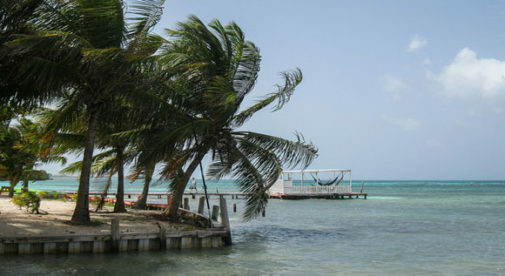 Thirteen years later the family’s various charter businesses occupy half the marina near Belize City. Now Cliff ’s office is a boat, and he spends his days as a skipper taking tourists out around the islands in glorious sunshine and turquoise sea. This part of the world is a snorkeling, sailing, and diving heaven. It is a picture-perfect location for tourists with superb natural amenities, and Cliff lives right in the middle of it—out on the water every day with the sun on his back, wondering where best to anchor for lunch, enjoying the company of relaxed tourists. When his parents made the decision to leave San Francisco, they did so without hesitation. Cliff Sr. had worked as an attorney; Sherry had a career as a physical therapist. They had often spent weekends on boats and when they sold their home and possessions, nothing went into storage. They simply moved onto a catamaran. They purchased a boat in Fort Lauderdale and sailed down to Belize to start their new life, stopping off for a while in the Bahamas. They have become so much a part of the business life in Belize that Cliff Sr. is a director of the American Chamber of Commerce of Belize and a member of the Belize Tourism Board Association. Sherry, a sailor in her own right, also loves to cook and now prepares gourmet meals for their guests. Three years ago the younger Cliff married British expat Rachel Eteson, who came to Belize in 2005 and had set up the Absolute Belize travel company with her friend Sophie Mills. Clearly there are many opportunities in the tourism business for entrepreneurs from overseas.